These conservatory shutters were a challenge. 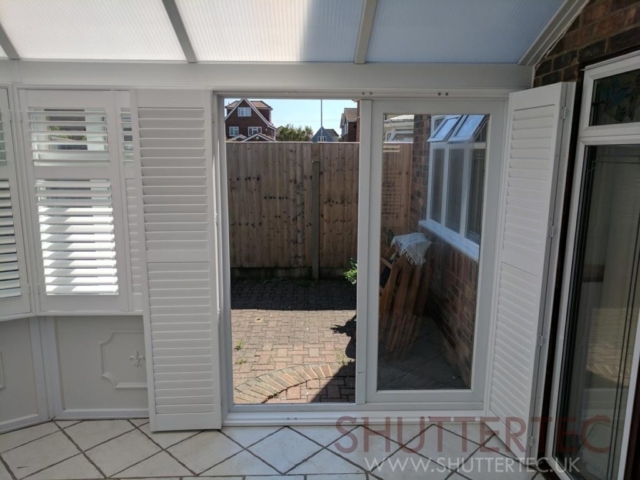 The customer wanted to turn her conservatory into another sitting room, so required privacy and anti-glare from the windows. 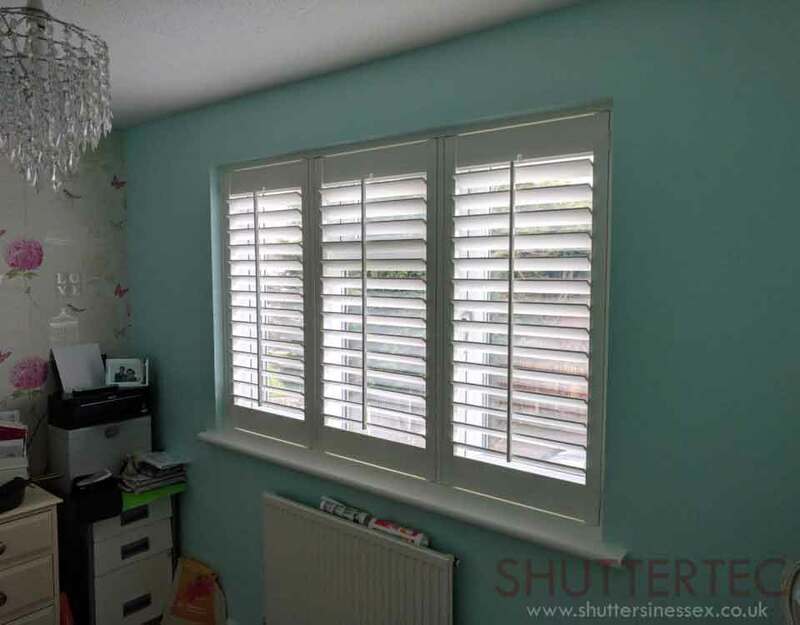 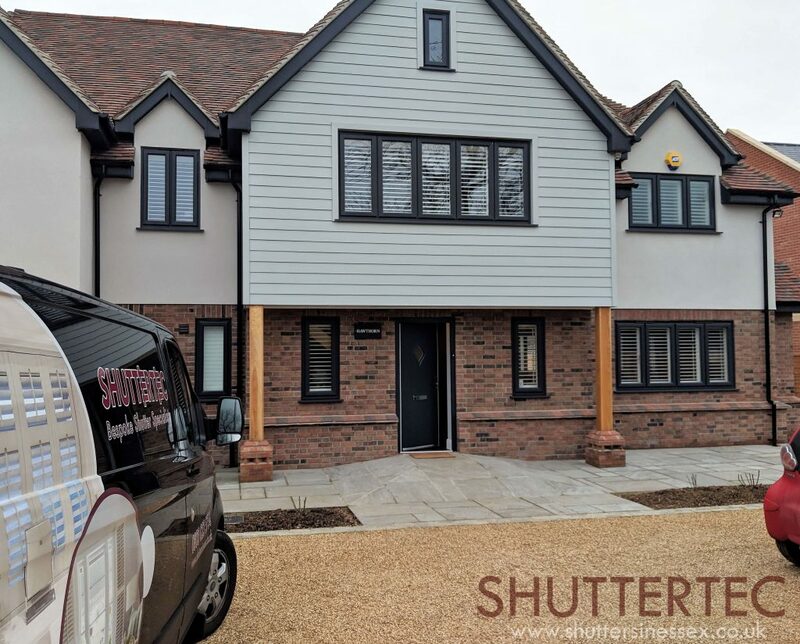 The shutters were required to be fitted with no window sill in situ, making installation harder. 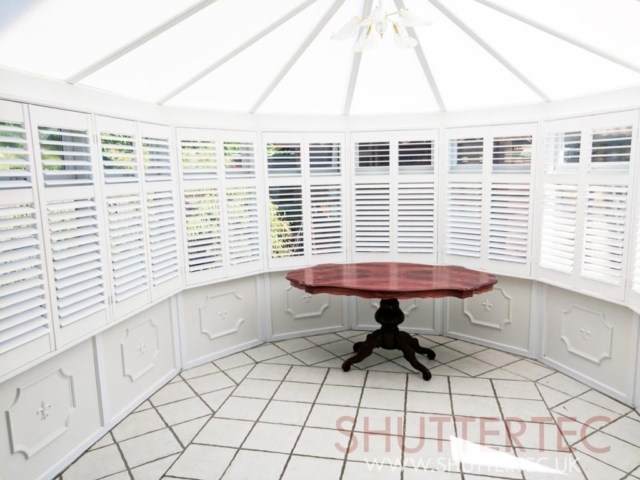 The outcome was brilliant, making the room feel cosier. 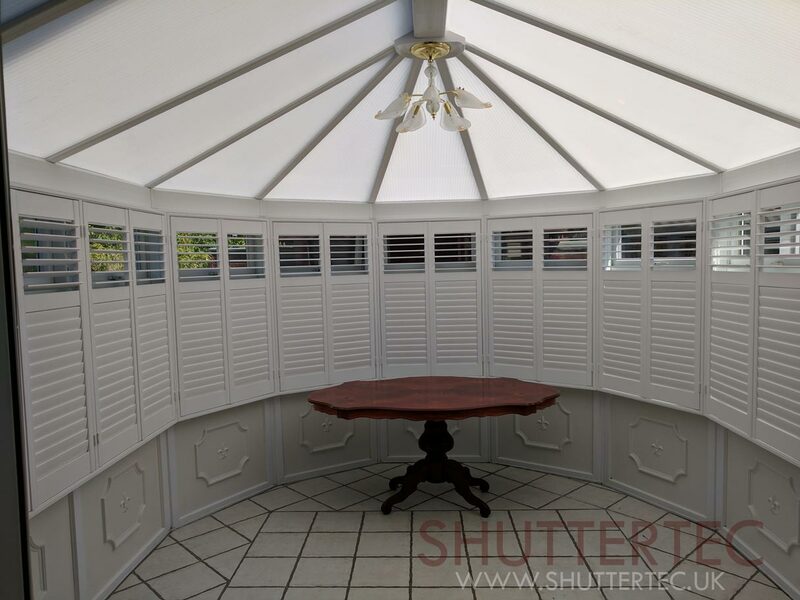 The flexibility of adding the midrail through the louvres helps keep prying eyes out of the room when in use, whilst still maintaining light and being a warm conservatory, a breeze through the fan light will help. 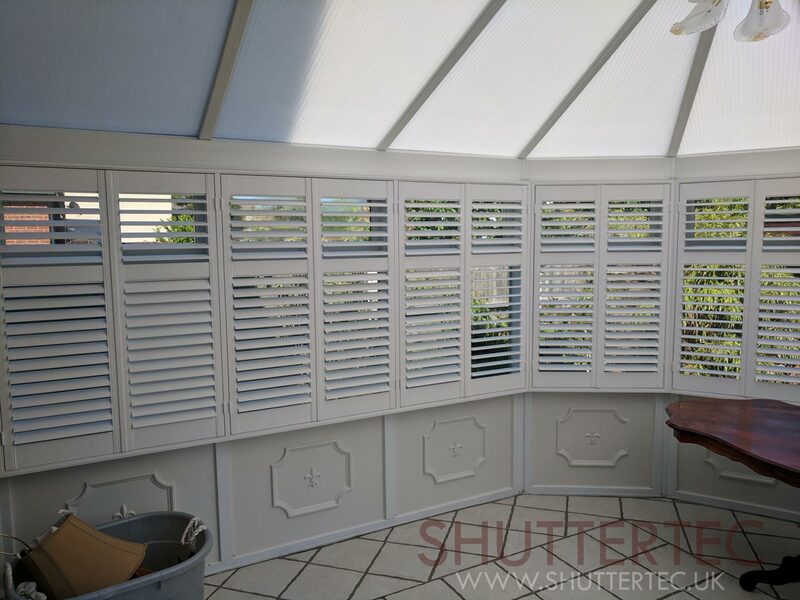 We were delighted with the outcome, as was the customer.